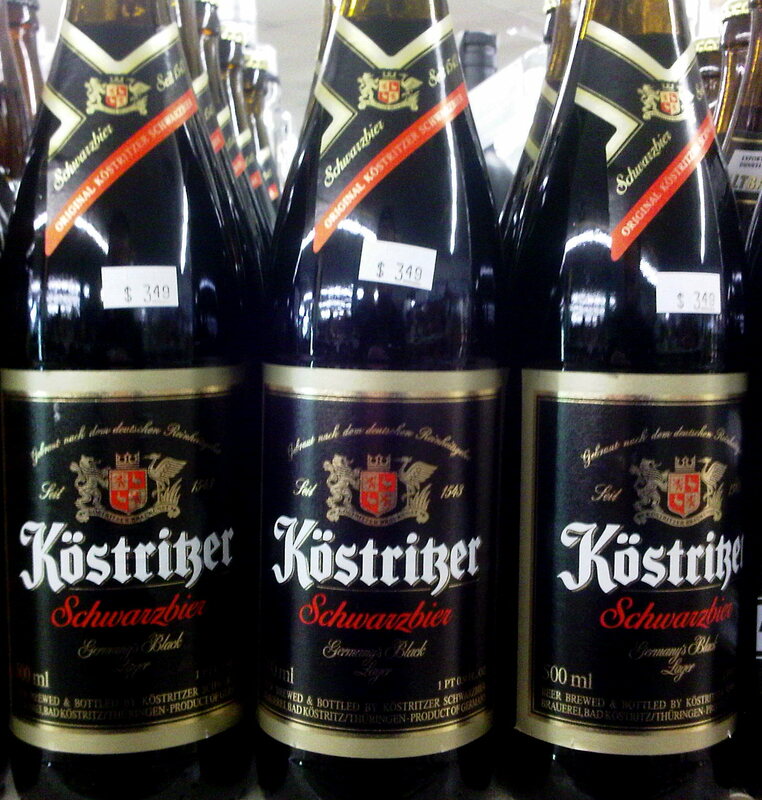 One of the classic examples of the Schwarzbier, or Black Lager style, has arrived in Albuquerque. 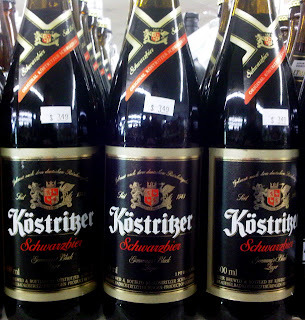 Kostritzer Schwarzbier is a great choice when you want to drink more than ten beers but don't want to feel loopy. Though only 4.8% ABV, it is flavorful with roasted malts and a smoooove mouthfeel. It comes from the home of the Schwarzbier: Germany. I drank it my first night ever in Germany, though at the time I didn't know of the beer. Very happy to see it available here. $3.49 for a 16.9 oz. bottle, seen at Kelly Liquors at Mountain Run. Stout. This is an 8% Imperial Stout based on Rogue's popular Chocolate Stout and certainly lives up to the chocolate part of its name. This is a good one to share, as the chocolate is a little too much for me, at least, to finish a whole 25 oz. myself. Great for chocolate lovers, though, and at 50 IBUs will not overpower with bitterness. Sweet is definitely the star in this one, which was also spotted at the Mountain Run Kelly Liquors. This is Rogue, so don't be surprised at the $13.99 price tag. Just skip paying to eat out and buy this beer. Drink half the beer for dinner and the other half for dessert. Sure thing, Sebbie. I label it as an "Imperial Stout" because of the ABV, even if it is not just a bigger version of the original. I neglected to mention the use of honey and the Rogue homegrown hops in this one. 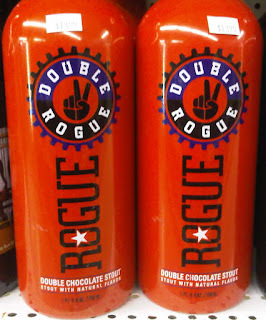 That's an interesting bottle design for the Double Chocolate Stout, certainly not what you would expect. I presume it is to prevent the light from entering the bottle? Sounds delicious all the same.